Sign up to participate with Mr. Linky. I am participating. I have read quite a few books this year, just not summarizing on my blog as much as last year. Really looking forward to next year!! I linked. I'm so excited! I did participate this year but rather piecemeal and not systematically. Hoping to be a little more organized in 2011. Thanks you for your challenge. Looking forward to new reading adventures in 2011. And I will do my best to post my reviews more consistently! What a great idea! I look forward to reading through the year. This will be my first year participating. I certainly hope that this will give me the motivation to be a more consistent reader. I went completely AWOL for the last several weeks, but I did keep reading. Try, try again! I saw this on WTM this past year and kept thinking about it...now a IRL friend is doing it with me and I'm so excited! Thanks for doing this again. I enjoyed reading other reviews. I hope to participate in some of the challenges this coming year. Yeah! So glad you all are joining me in 2011. It will be fun. Happy Reading! I'm joining this year. I'll be reading for myself as well as reading alongside my kids. There are so many classics I never read and this is a good opportunity to do so. I'm also hoping it will get me back to blogging. I'll be back next year. Thanks so much for keeping this challenge going. Have a great day! Welcome Rhonda and Jenn. Glad you are doing it again Sherrie. This will be my first time joining! Yay! Good Luck to all of us! This is my first time for joining. Hoping I can do this. Thanks again for hosting this challenge! I am looking forward to my second year- and am hoping to read more than I did last year. I am also going to attempt some challenges! Great idea! Can't wait! A friend asked me to write up a 100 book list for us this year, not as easy as it sounds. Looking forward to 2011 reading! Changed my link, can you delete the first one? I'm in. This is my first time and I am looking forward to blogging about it too! My first book is Decision Points by GW Bush. Just finishing up last year's challenge and looking forward to this year. Son and I are looking forward to this. Already working on my list of books and trying to figure out which is going to be the lucky first. Thanks for putting this together! thanks for the challenge....maybe, just maybe all these books on my shelves will finally get read. All signed up for the Mind Voyages challenge. Thanks Robin! This is my first year participating. I made a resolution of not buying any new books in 2011 (except what we need for school) and reading only books I already own but haven't read. I have a stack of 70 I want to get through, but I'd be happy with making it to 52! I'm new to this challenge. It sounds like fun! My 12-year-old may be joining in the fun as well. Can't wait to share the reading life with others! This is my first year participating. I'm really looking forward to it... I read so many books when I was younger but I somehow "lost track", so maybe this is an opportunity to find new access to the world of literature. I had lots of fun doing this for the first time in 2010. I'm looking forward to 2011 & hope to be a little more consistent. Thanks for doing this! Oh this sounds like fun! Count me in!! I'm a first-timer as well! My first book will be Right Ho, Jeeves by P. G. Wodehouse. Year #7, here we go. I don't have a blog but will participate. I love to read. I hope to expand my literature taste. I will try to be a better reader/commenter this year that I was last year. I spend so much time writing, reading will be a nice break. This is my first year. I will use my tumblr to post with. I'm so sorry....is there anyway you can delete me from number 14 position (or edit me) or something. I had originally entered myself with a link to my regular blog, which goes to my homeschooling entries. 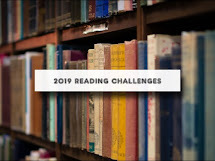 I just redid it (at number 66) with a link that goes directly to a page I'd set up for this book challenge specifically. Sorry for the hassle! I'm participating! This is a wonderful challenge. This really does like a fun way to share books! Here's to many good reads for the year! Welcome to all the new comers and welcome back to everyone else. Looking forward to a fun reading year. Yeah Firefly Mom - added your blog to the sidebar. This will be my second year with the challenge, and I'm hoping to be more organized about posting! I love having a list of books that I've read in a year. There are so many good memories involved! This is going to be a fun challenge! This is my first time participating. Hope it goes well. This is my first year participating and I am very excited! I LOVE to read, but have not made it a priority since beginning a family 9 years ago. I'm in for this year. I'm participating! This is going to help me keep on track! I'm looking forward to participating in this. I don't read anywhere near as much as I should these days - books, that is, I spend a lot of time browsing blogs, etc. - so it'll be good to flex that muscle again. *Reposted using Name/URL instead of google id (as I don't use blogger). Thanks for hosting this. I am participating at The 52 Books Project. I decided to do this project about a month ago and found this site while looking to see what other people have done regarding the 52 in 52 goal. I will be reading mostly non-fiction books on biblical studies, theology, history, etc. I look forward to reading with everyone throughout the year. Hello! Im excited to take this challenge for the first time this year. I'm going to try this again since I bombed last year. I'm focusing on British literature this time, which ought to keep me motivated! I'm going to attempt to widen my reading horizons. Of late, they have been rather narrow. Perhaps this will help! I tried another Young Adult selection and loved it! I am excited to try this challenge! Thanks so much for this challenge and for hosting this community of readers. I'm excited to try and keep up with everyone throughout the year! I'll try and join in! I've started a challenge this year called 1001 Book Reviews - the plan being to get 1001 books reviewed by the end of the year!! Although, I think it'll take a bit longer than that... anyway, my blog is http://1001-book-reviews.blogspot.com, if anyone wants to double-up, and send me reviews as well as reading for this 52-in-52 challenge. I'm in. Even started a blog to keep up with what I've read. This is going to be a challenge for me, since I usally take a couple of weeks to read a book, but It's just what I need to get me motivated. I've joined two book review programs and want to read as much as possible. The will hopefully boost my initiative. I just found this today!!! EEEEKKK! But, I'm in. We'll see if I can catch up. I just started my own 52 books in 52 weeks challenge with the goal of improving my writing skill in English. Since I began this personal quest, I have read "Pride and Prejudice", "Bleak House", "Jane Eyre", "A Room With A View", "The Hobbit", "The Fellowship of the Ring", "The Return of the King" and "Invisible Man." I just started my blog and it is an essential part of my quest. I hope to succed. I never thought I could do a book a week, even though I do read a lot. Since I started keeping track, I found out that, apparently, I'm usually ahead of the target. Happy to be part of this challenge. I know I'm a little late with signing up but I intend to catch up and I have been reading throughout the year and might not be too far behind. Will make a post in just a bit about joining and add the banner to the sidebar of my blog. Just wanted to drop a line to say that I just finished my 52nd book for this year. Here is my list for 2011 and my library. For those who have WordPress blogs, there is a great plugin to track your books with called Now Reading Redux.